Home Conspiracies Conspiracy Theory – Was Caesarion Jesus? Conspiracy Theory – Was Caesarion Jesus? Some say it was the son of Caesar who became Christ – Caesarion, borne by the Egyptian queen Cleopatra. But could it be true? 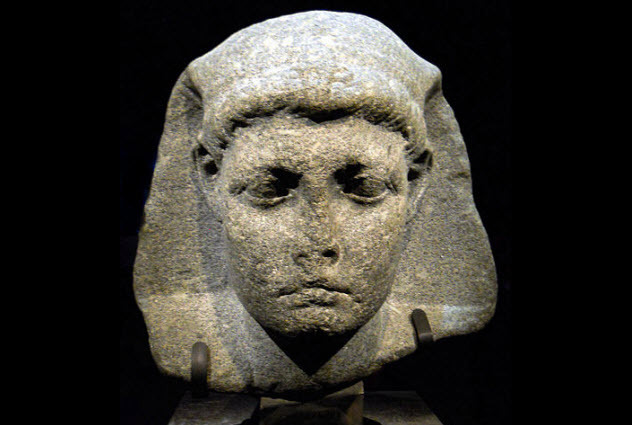 Caesarion was born in 47 BC and was known as the king of kings and the lord of lords. Plutarch said that Caesarion was sent by his mother to India via Ethiopia with a load of treasure but returned on the advice of a tutor and was killed by Augustus Caesar. This theory states that the name “Jesus” actually means “son of Isis,” reflecting the idea that Cleopatra was the divine reincarnation of the Egyptian goddess. The three wise men were foreign ambassadors visiting the coronation of Caesarion as pharaoh in 44 BC, and the star over Bethlehem was actually a famous comet known as the sidus Iulium (“Julian Star”) or Caesaris astrum (“Star of Caesar”).Caesarion was taught the healing practices of the Egyptian mystery schools by his mother. He successfully fled to India, the home of two other incarnate gods—Lord Krishna and the Buddha—where he learned the secrets of Eastern mysticism. He was assisted by a Hebrew tin merchant named Joseph of Arimathea and his royal cousin, Mary. In India, Caesarion became known as St. Issa and eventually died in Kashmir. The legend of Jesus Christ was created ex post facto based on the spiritual achievements of Caesarion, who possessed a bloodline that combined the royalty of Rome, Egypt, and Israel. The theory further states that Caesarion—and by extension, Jesus Christ—was a reincarnation of Alexander the Great through the Macedonian bloodline of the Ptolemaic dynasty of Egypt, whose founder was known as Soter (savior). Alexander had laid the foundations for the rise of Christianity by spreading Hellenism throughout the Middle East. Alexander died at 33, the age traditionally ascribed to Jesus at his crucifixion. Somewhat paradoxically, the theory also says that the suffering endured by Jesus was part of a karmic debt for the military conquests of Alexander. Why is the investigation into the Dyatlov Pass Incident mystery being reopened?